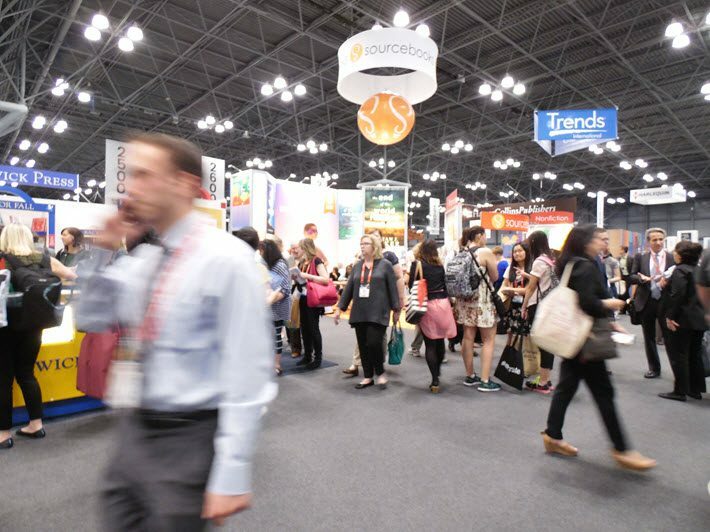 Smaller and quieter, this year’s BookExpo nevertheless hums with trade business. We spoke to the leads behind the new analytics tool OptiQly about marketing on Amazon.com. The first thing you notice when you walk into the cavernous lobby of the Jacob Javits Center this year for BookExpo is how quiet it is. “Where is everybody?” one publishing house veteran asks while heading to the escalator to reach the trade floor on Thursday (June 1). The next thing you notice is the width of some of the east-west aisles. Tennis-court wide concourses lead to the main exits. 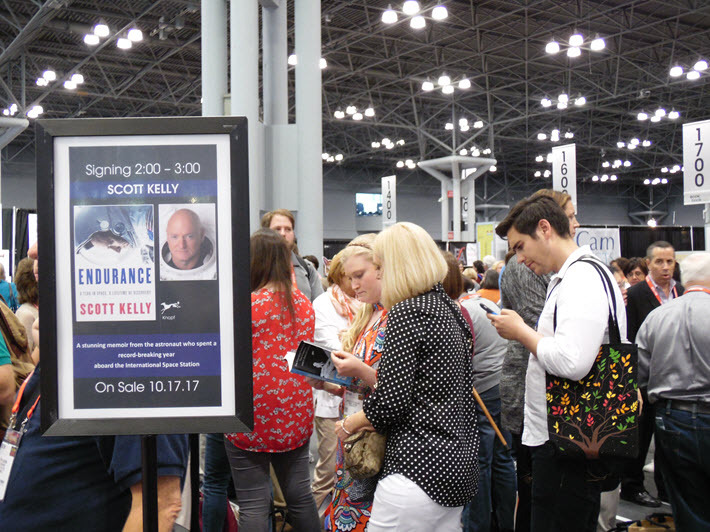 The kind of jammed corridors many remember from years past occur only occasionally as attendees line up for a popular autograph session, as for astronaut Scott Kelly for Endurance: My Year in Space (October 17, Knopf). Nevertheless, attendees stride the hall briskly, some of them saying that they like being able to get around for meetings faster. Others comment on the smaller stands. 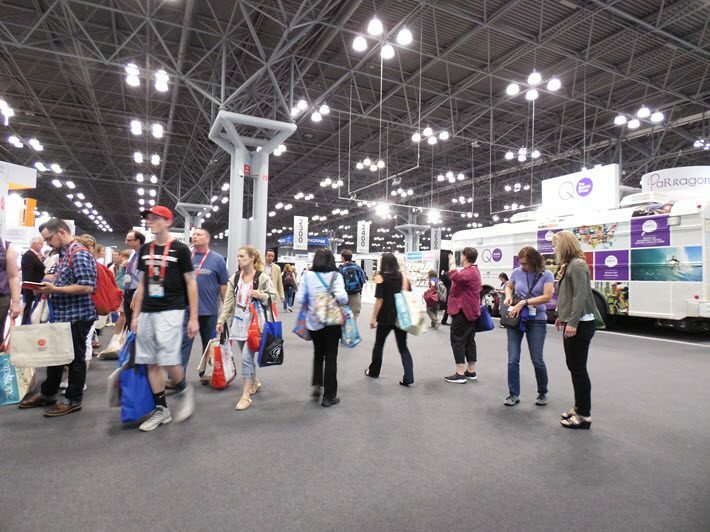 The jury will be out, of course, for some time, as to how well this roomier-but-smaller, two-day format works for publishers, booksellers, and others engaged in meetings at BookExpo. One dominant presence at this year’s show is Ingram. Its big, carpeted plantation covers not only a broad expanse for meetings in the main Ingram Content Group area under a glowing circular drop ceiling but also a side-boulevard of tables for IngramSpark and a separate street of contiguously positioned stands for Ingram Publishing Services. But the leaner landscape for the show overall means that some smaller outfits have “walking stands” this year—no booths on the floor map. They’re saving on costs, instead, and strolling from meeting to meeting along these generous thoroughfares, hunkering with contacts in the food court or near some of the stages, which have lots of empty seats between events. One such company is called OptiQly—pronounced “op-tik-lee,” as an adverb—and when it comes to business buzz at BookExpo this year, OptiQly and its tantalizing promise is usually being mentioned. 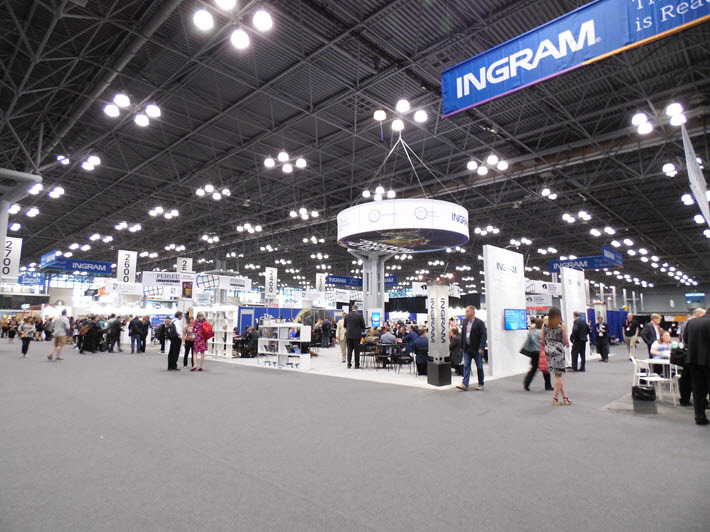 An announcement from the sprawling Ingram installation, in fact, has raised the profile of this marketing technology, still in private beta, to make it one of the loudest chatter points of this year’s show. Ingram Content Group is collaborating with OptiQly to offer what Ingram’s folks are calling its “predictive analytics for marketers to increase book discovery and sales at online retailers.” What this means is that Ingram will offer a subscription to its CoreSource client companies as part of its digital asset management and distribution offerings. So what is OptiQly and why are so many people talking about it? 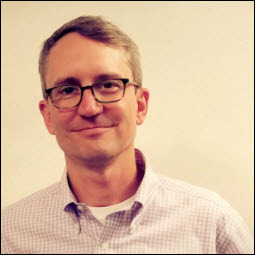 At the Javits Center, Publishing Perspectives spoke with Peter McCarthy, chief product officer, and Susan Ruszala, vice president for sales, about what this new subscription analytical platform offers. 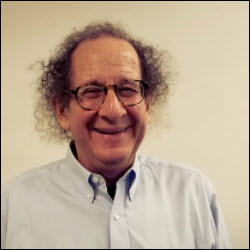 McCarthy is familiar for his years in publishing houses’ digital marketing developments and, most recently, as the partner of Mike Shatzkin in the Logical Marketing consultancy. Shatzkin appears on OptiQly’s team list, too, as strategist, and has written about the product as it neared its release. 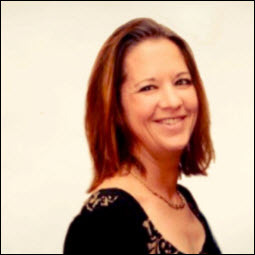 Ruszala was last seen most prominently as president of NetGalley and presided over its international expansion, which included the March 2016 roll-out in Germany, prior to her new role with OptiQly. Both Ruszala and McCarthy now are working with OptiQly CEO Evan Schnittman and general counsel Jon Fine on this interesting project with the challenging name. Jess Johns is the marketing lead, Didier Jean Charles is chief of tech, and David Joseph is handling finance and operations. Ruszala and McCarthy say the name carries elements of optimization and IQ, although as yet it seems hard for some to remember, spell, or understand. But in talking with them, it becomes clear that the capabilities they attribute to OptiQly may well have potentially pivotal value for publishers—and eventually for traditionally and self-publishing authors, as well—if its promise is borne out in its execution. “It may be a few months,” however, cautions Ruszala, before single-title users will be invited to subscribe. “We want to be sure we’re ready to service that community,” she says. To be simplistic for the sake of clarity, OptiQly can be thought of as a diagnostic tool for how a book is positioned, specifically in the Amazonian jungle of bookselling today. 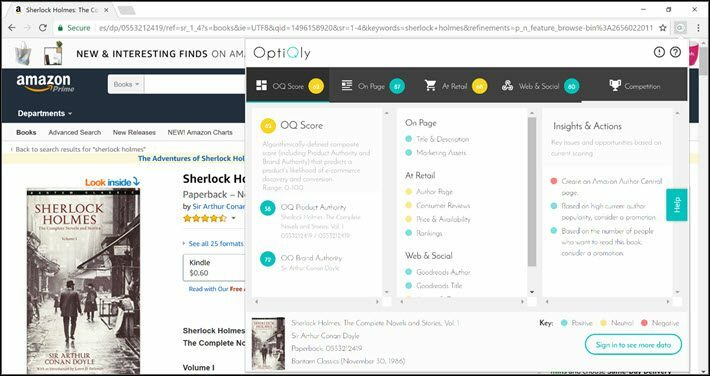 While the team would like to bring more retail platforms into play eventually—including Amazon’s international sites—Ruszala and McCarthy say the effort as OptiQly approaches its step-out into the marketplace is on US Amazon, the biggest books retailer out there. Using an algorithmic assessment of factors including retail performance at Amazon.com, a book’s sales page, Web and social activity relative to the title, and performance by competitor titles, the program is meant to “promote transparency to improve marketing performance,” in the language of OptiQly’s early promotional copy. The program then has instructional responses, telling a publisher how to adjust various conditions to enhance performance: how to fix it, in other words. Both publishers and authors will be interested in the distinction McCarthy is making there. What in OptiQly’s lexicon is the “product authority” is the score relative to how well the title is positioned. The second score is “brand authority,” a score relative to the author’s visibility. “We chose Amazon,” Ruszala says, “not for any particular affinity with Amazon but because there’s so much data available and their merchandising algorithm is so sophisticated. As McCarthy points out, all these and more are used by Amazon, itself. “The easiest way to explain it is to say that they work largely off of page views and conversion. They want to see that ratio. And a lot of the signals that indicate page views are the things Susan is talking about,” those outside signals such as social-media shares. “Facebook links back to the product,” McCarthy says, “the number of shares out there that link back to Twitter, just shares in general. All of those things are going into defining page views as going up or down. Sales rank is going to tell you whether or not it converted. A section of the program is called “insights and actions,” which are data-driven analytical casework: “If that’s true and that’s true” about a book’s sales and other factors, as McCarthy puts it, “go try one of these things” to see if a title’s performance can be upgraded. Initially, say McCarthy and Ruszala, a subscription may offer the chance to track, say, 50 ISBNs for a modest monthly fee, around $150, with bigger packages available. That’s because, the initial target customer, a publishing house, is expected to find OptiQly important for determining where to focus marketing attention. “[The product] will really be indispensable to help larger publishers figure out every morning which of their titles can yield the biggest dollar improvements with tweaks or fixes their marketers can apply today. “It will point publishers to which titles on their list have a misalignment that, if corrected, will immediately boost sales. “And, by title, it will tell them exactly what actions will yield results. Once the system is up and running, subscribers will be able to use it to track performance scores for others’ titles, not just their own, a potential boon in terms of analyzing what another book is doing right or wrong—information to be applied or avoided. And the over-arching intent here is to capture and refine the most optimal conditions for a book to be discovered and for that discovery to be converted into sales. Too frequently, Ruszala and McCarthy say, publishers just aren’t able to track enough factors and discern enough about a title’s marketplace positioning to know what’s working and what’s not. “It’s a lot like having a bunch of people going into a bookstore,” McCarthy says, “and your book is shelved in the back, in the wrong category, maybe spine out but the spine is scratched” and unreadable. And even if a publisher’s staff could do the kind of research it would take to check out and monitor the factors that OptiQly is meant to follow, the time commitment and work level would be prohibitive. “Multiply the number of data points by the number of SKUs” in a publisher’s list, McCarthy says. “It’s huge.